Hello all you frugal grocery shoppers! 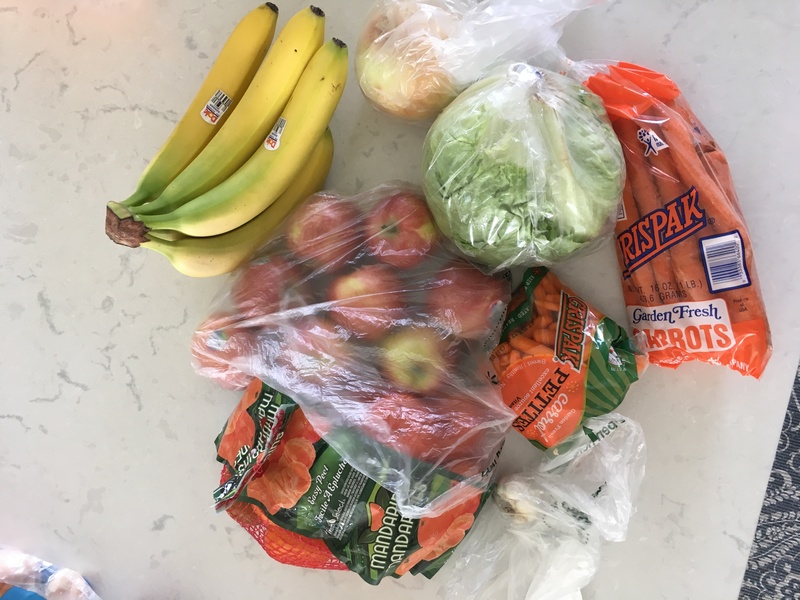 I’m excited to start sharing some of my grocery hauls! 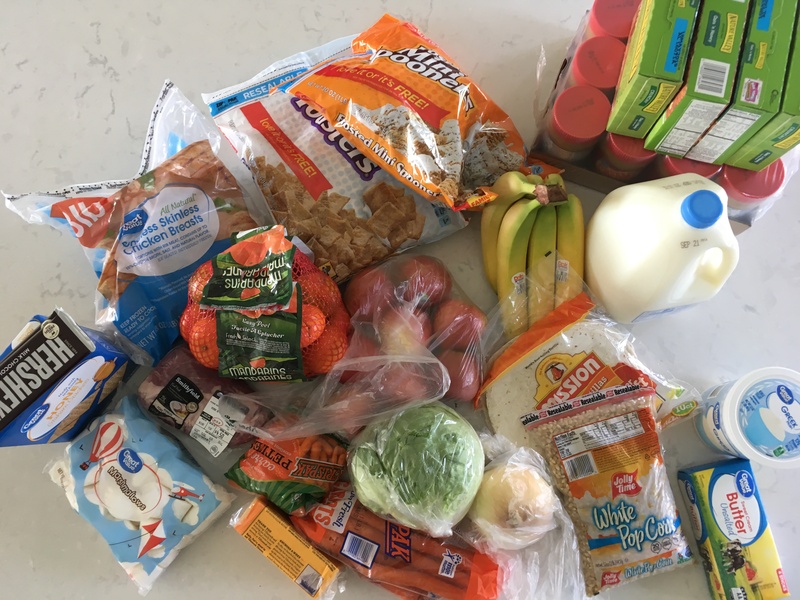 I get asked a lot what we eat and how I shop, so I want to share with you what is a part of my weekly budget. I probably won’t share ALL my grocery trips, but I will try to share some from time to time. This week I went to Walmart Grocery Pickup (which, FYI, is the best invention ever) and to Smiths to take advantage of their case lot sale. I spent a total of $80. I bought granola bars from Smiths. 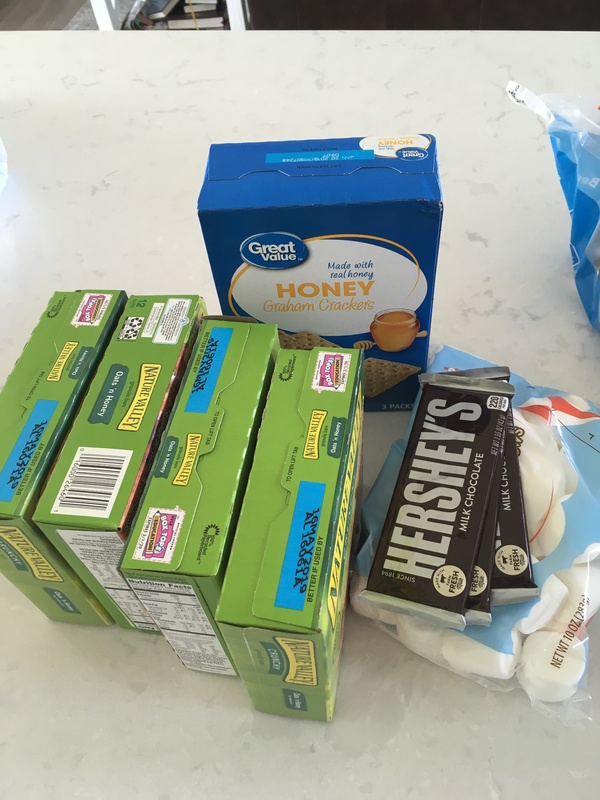 We will be making smores this week so I bought and marshmallows, chocolate and graham crackers for that. 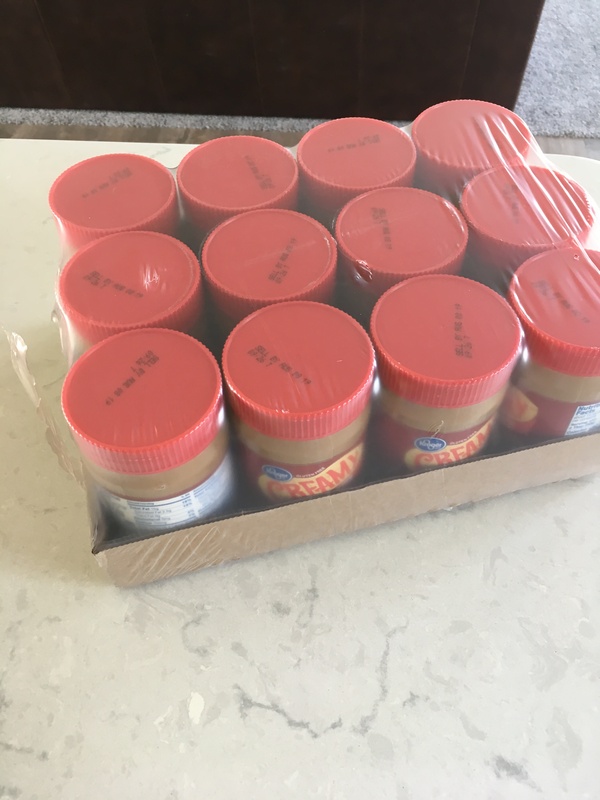 Peanut Butter from Smiths Case lot sale. Mt produce this week consisted of bananas, apples, mandarin oranges, carrots, onion, garlic, and lettuce. I was able to get this milk for free as part of a promotion. 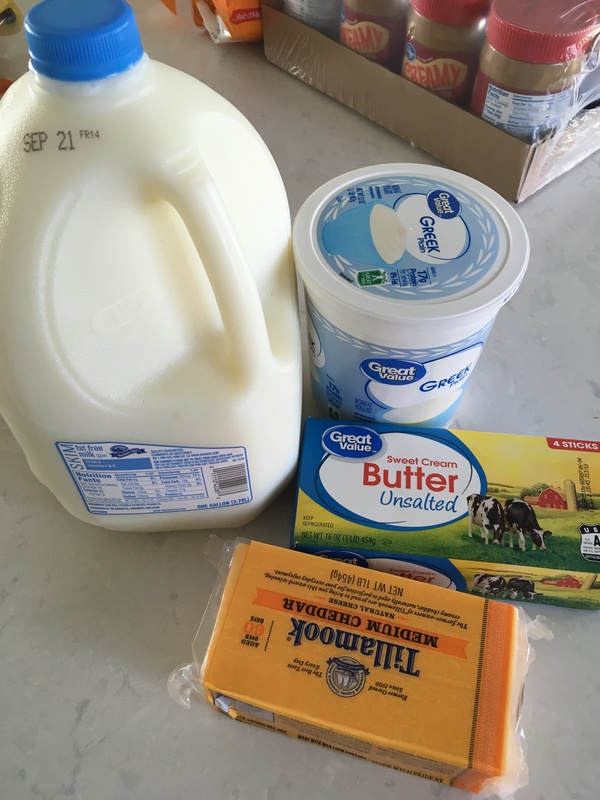 I also bought butter, cheese, and greek yogurt. 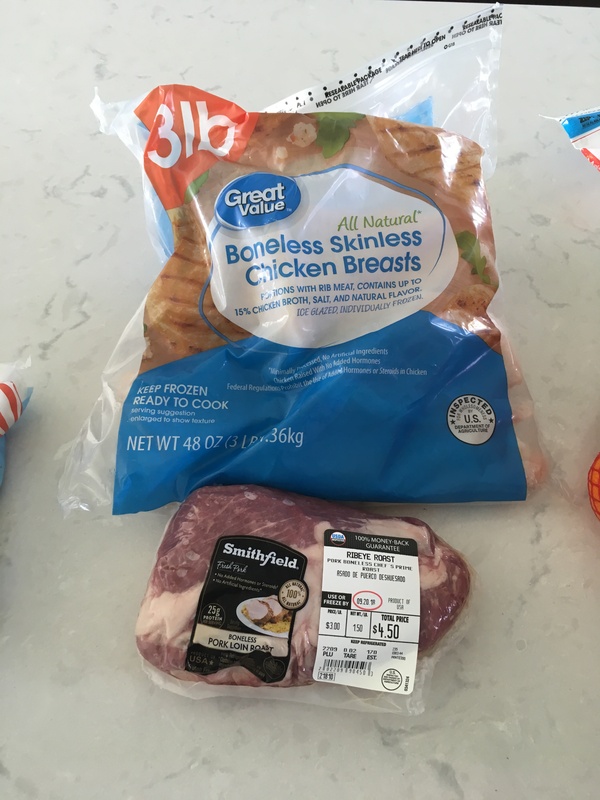 In the meat department I bought a bag of chicken breasts and a pork shoulder roast. I struggled keeping in budget this week! There were so many great deals at the case lot sale and I had to really limit myself.